The 1999 & 2007 images are recorded as being in the public domain. 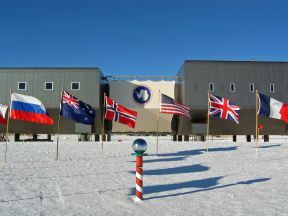 The Ceremonial South Pole consists of a metallic sphere on a red and white striped pole, surrounded by the flags of the Antarctic Treaty signatory states. 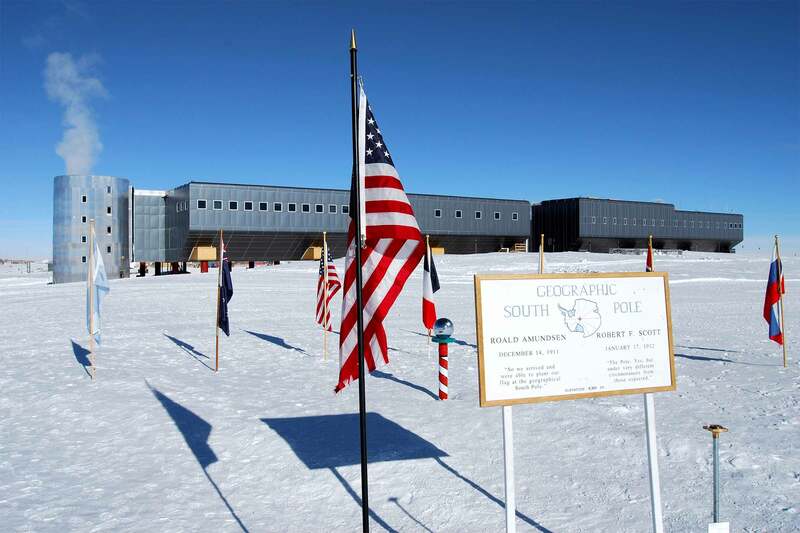 It is an area set aside for photo opportunities and according to Wikipedia, is located a short distance from the Geographic South Pole.